Here's a cute little gift for Christmas! 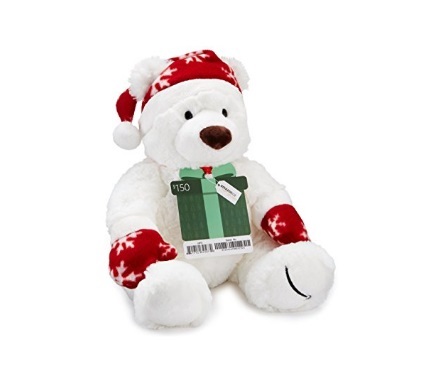 Get a Free Holiday Teddy Bear when you purchase a $150 Amazon gift card online! The gift card is tied to the plush Gund teddy bear. Free shipping applies. This offer is available exclusively for Prime members (free trial users apply too).